We make an exceptionally fine freshly roasted Deluxe Mixed Nut. This gift is a wonderful way to say "I care". 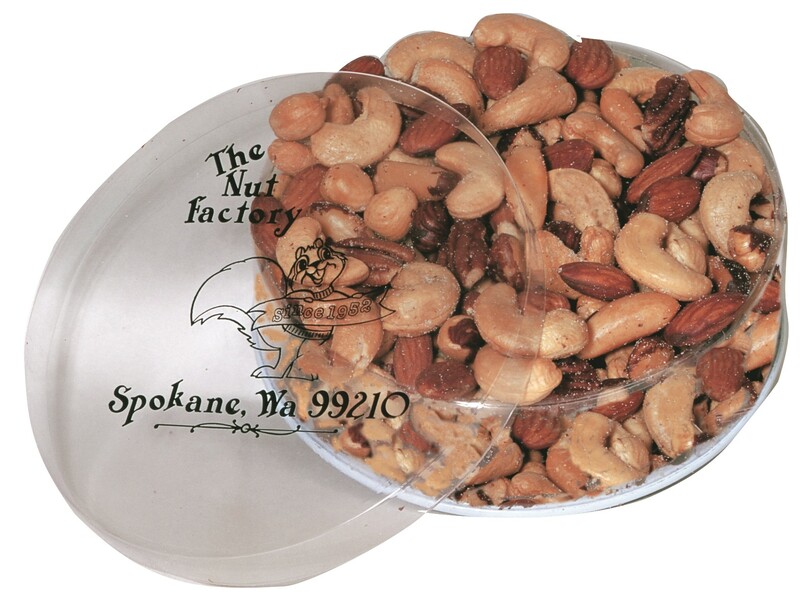 It holds a pound of the finest nuts and is packaged in a clear plastic round. This gift tin is one of our most popular gift selections. 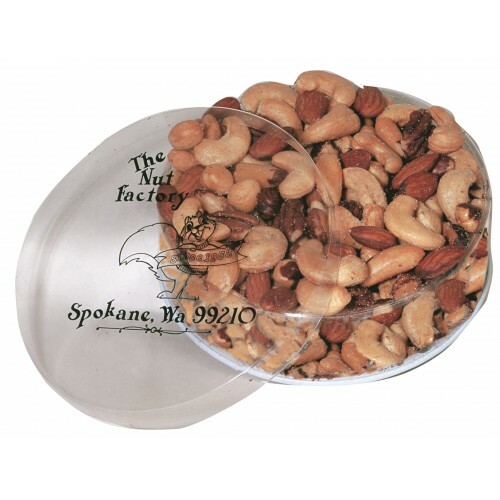 This mixture has no peanuts, and includes larger roasted cashews, almonds, peanuts, pecans, hazelnuts, and pecans. We use a very unusual slow basket roasting process. It gives these nuts a perfect full, rich taste experience. The aroma is awesome. This very special roasting process is the way we have roasted nuts for 63 years.